Much in the vein of the earlier Dex-heavy episode, it is time to take another deep dive into a single Daredevil character. 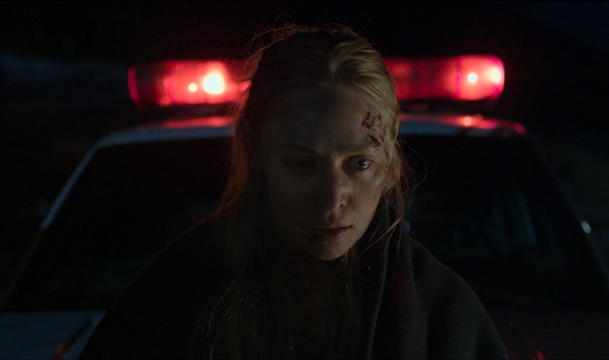 Unlike that episode, this one unpacked the baggage of a character we’ve grown intimately familiar with: Karen Page. She’s gone into hiding recently, but she can’t seclude herself away from a past that has haunted her for so long. Apparently Karen, like many of us, was a much different person in her college years. Our first glimpse into her pre-NYC life shows her dealing coke with her boyfriend, Todd, at a frat party during a “gap year.” For her that translates to running away from college out of a feeling of obligation to her family. She works at the family-owned diner, Penny’s Place, alongside her brother, Kevin, and father, Paxton, in the small town of Fagan Corners. Her drug use ramps up concurrently, beginning to take a toll on her. Karen’s inevitable exit comes closer when Kevin reveals that he reversed Karen’s enrollment deferral to Georgetown without her knowledge. Kevin knows she needs to leave the sleepy town, but Karen is resistant due to her father’s inability to financially manage the diner. Todd also holds some influence over her decision, asking her to deal with him full-time in order to keep her around. Everything comes to a head at a family dinner celebrating Karen’s college news. Paxton wants her to get out of town because she is clearly bored and hanging with the wrong crowd. Karen retorts, saying that he won’t be able to keep things afloat without her, that she’s been doing mom’s job since she died. She smashes a framed lottery ticket, a memorial to her mother, and scratches it. Mom lost again. Karen runs to Todd, joining him in a mini-pickup truck drug bender before heading back to his trailer.The couple are stunned to find the trailer engulfed in flames thanks to Kevin. Todd attacks Kevin with a wooden plank, beating him down until Karen shoots him in the arm. She makes a hasty escape with her brother, telling him she was going to fix everything as she drives away. She mentions their mother’s death just as she flips the car, killing Kevin. Paxton convinces local police to ignore Karen’s involvement in the accident, but tells her that he doesn’t want her here. Back in the present, Karen is stowed away in the basement of the Clinton church. Father Lantom updates her on Maggie’s efforts to find escape options before. Karen brings up Matt, asking Lantom for guidance on dealing with failure and its subsequent pain. Lantom assures her that redemption is possible, but that living with the pain of your choices is something we all must learn. He reassures her that everything will be OK in the end and invites her to Mass. Fisk’s pursuit of Karen comes to a head when he orders Dex to kill her. He compares Dex to James Wesley, making the killing feel even more vengeful. Matt is forced to choose whether to stay at the hotel and kill Fisk or give up his only opportunity to infiltrate his penthouse and save Karen. Dex, dressed as Daredevil, enters the Clinton church sanctuary mid-Mass in search of Karen. He begins beating members of the congregation until Karen shows herself. Luckily Matt attacks him from behind as he takes aim at her. The two fight throughout the sanctuary until Dex gets the upper hand and fires a baton toward Karen. 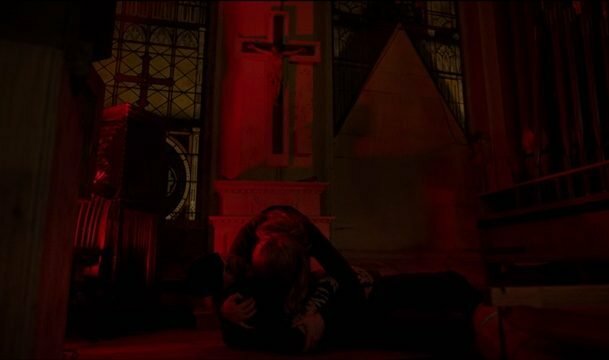 Father Lantom sacrifices himself, stepping in front of Karen and taking the shot in the chest. 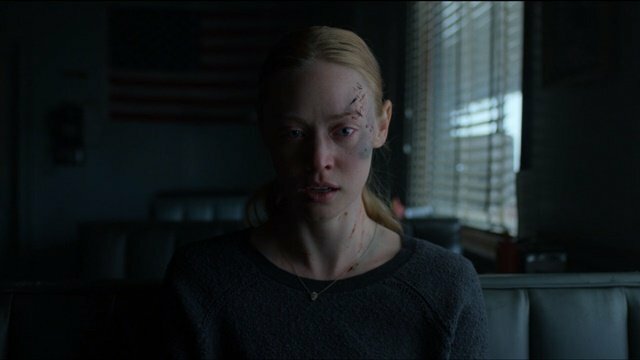 What did you think about Daredevil season 3 episode 10? Let us know in the comment section below!